1-Hour Full Body Meridian and Tissue Manipulation Massage for 1 Person A holistic wellness treatment combining Chinese & Western medicine philosophy. The treatment is using buffalo horns tools with exquisite massage technique to manipulate Meridians, Accupoints, Muscles and Fascia to unblock knots and remove “cold” from the body. It helps to relieve pain, alleviate chronic pain and release mussel stiffness that will bring total wellness and relaxation. 1-Hour Traditional Spices Remedy Spa for 1 Person Gentle infuse your body and mind with aroma of aged-old herbs and spices to ensure your complete women well-being and relaxation. 100-Minute Babor Age Freeze Lifting Facial for 1 Person With perfect combination of 5 active ingredients that help to lift & firm on face. Using needle –free mesotherapy to deliver 90% penetration of active ingredients into skin to regain youthful contours. Phillip Wain has been in the pioneer in the fitness industry. Over the past 30 years, they have been providing fitness and beauty services allowing people to exude the essense of beauty. 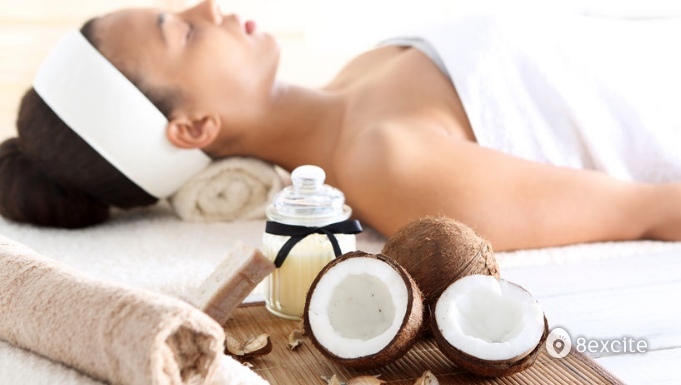 Their clubs are a place for unwinding your mind and body with professional consultants, beauticians, nutritionists and instructors ready to care for your wellbeing. Valid on weekdays from 7am to 9pm (last appointment: 6pm), Saturdays from 7am to 6pm, Sundays from 11am to 6pm and Public Holidays from 10am to 7pm. Valid for first-time and existing customers aged 25 and above who have not visited for the past 12 months.